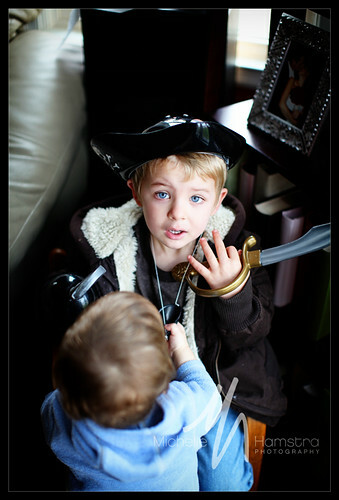 On any given day you can find John Michael dressed up as a pirate. 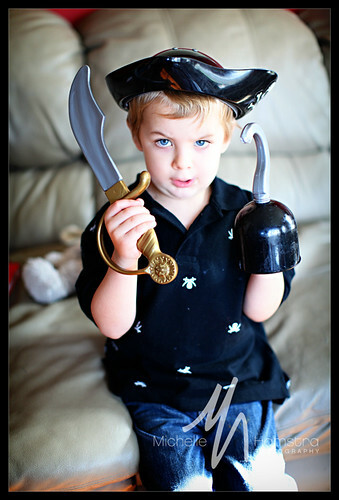 Last year for Christmas Tara & Adam bought John Michael & Addy pirate costumes and the novelty has not worn off since! He's also my little drama child. He's the most expressive and I think the most imaginative. I'm regularly overhearing him fighting imaginary bad guys or rescuing people in distress. It warms my heart.